The new ePub3 format is talked about a great deal on the Internet, but aside from a short list of new features and capabilities, frustratingly little information is actually given about it. eReader manufacturers have barely begun to implement fragments of the new spec and they aren’t making promises about when upgrades will arrive, presumably because they don’t want to encourage consumers to hold out for new models. Though this video is almost a year old, it does provide useful insight into the vision of the International Digital Publishing Forum (the organization that created and continues to work on the ePub specification). 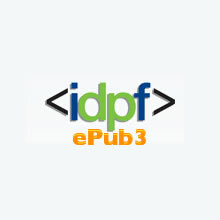 In the video, Bill McCoy, Executive Director of the IDPF, presents an only-slightly-technical perspective on ePub3 with demonstrations of a few of its capabilities. In response to this older video, Bill McCoy suggested I share the following which was posted much more recently.